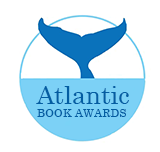 Currently based in Halifax, Nova Scotia, the board of the Atlantic Book Awards Society is committed to being a truly regional organization with representation from all four Atlantic provinces. In May 2012, St. John’s, NL hosted a very successful gala, marking the first time this ceremony had been held outside the Halifax area; another successful gala “on the road” took place in Charlottetown in May, 2014, and again in Moncton in April 2016. Building on these successes, the goal is to continue rotating the awards ceremony through New Brunswick, Prince Edward Island, and Newfoundland & Labrador, as well as Nova Scotia.